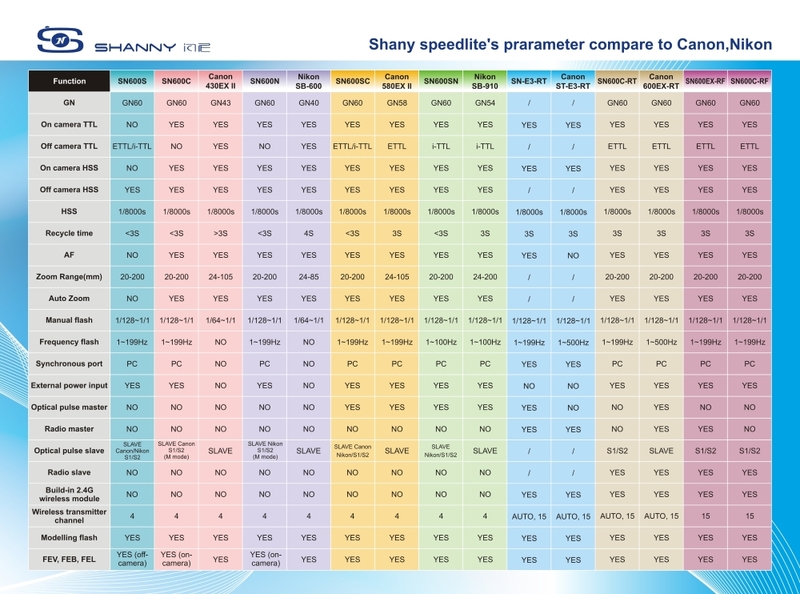 The Shanny SN-E3-RF, SN600C-RF and SN600EX-RF are Shanny's answer to radio flash systems from Phottix, Canon and Yongnuo. Shanny, the flashgun maker, has launched its own radio system. The new Shanny SN-E3-RF, SN600EX-RF and SN600C-RF are triggers and flashguns that communicate using a 2.4GHz proprietary Shanny protocol. The Shenzhen-based manufacturer has helpfully named all its products with almost exactly the same model name. The SN600EX-RF is the flagship flash in the Shanny wireless system — able to act as both radio master and slave — while the SN600C-RF is the same flash but slightly cheaper and can act as slave only. The SN-E3-RF is the transceiver, which can act as a low-profile trigger or let you add non-RF flashes to the system. If it has the suffix “RF” then it works with Shanny’s own system, whereas “RT” flashes work with the Canon RT Speedlites. The Shanny RF series is the company’s answer to rival flash ecosystems including the Phottix Odin/Mitros, Yongnuo YN560IV and Canon 600EX-RT. 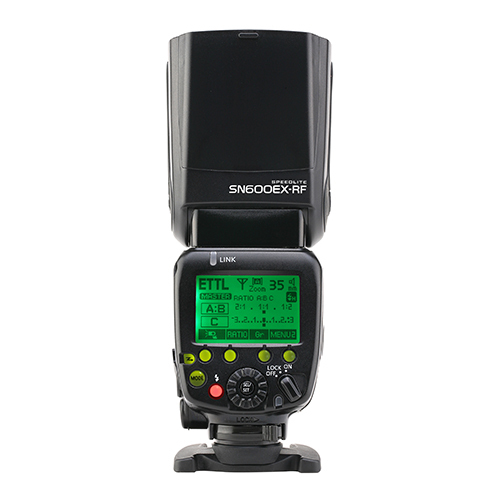 You can control the entire system using either a SN600EX-RF or SN-E3-RF on your camera, depending on whether you also want on-camera flash or not. It can control groups and power levels (in manual or E-TTL mode) of flashes up to 200 metres away from the camera position. Up to 15 channels and 3 groups are supported. All flashes have high-speed sync, second curtain sync, manual and E-TTL power control — basically everything you’d want from a flagship flash, except advanced optical wireless. The SN-E3-RF has an LCD control panel on the back and a hotshoe on top. It can switch between transmitter (Tx) and receiver (Rx) mode at the push of a button, depending on whether it is on top of your camera or under a flash, respectively. For now, there are only Canon E-TTL variants available and it is not clear if Nikon i-TTL models will follow in the future. The SN-E3-RF (transceiver) is available now for $50. 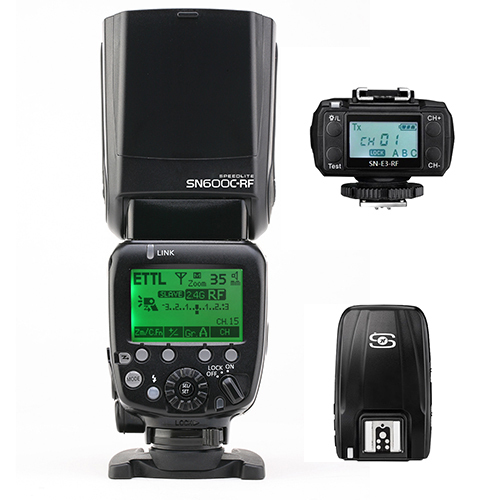 The SN600C-RF (slave flash) is on sale for $125 and the SN600EX-RF (master flash) can be yours for $150. Click here for listings.